By H. George Friedman, Jr.
*Note: Some retired Cincinnati coaches were pressed into service even after their official retirement date. See page zb for retirement details and post-retirement service. **Note: See pages za through zf for retirement details. 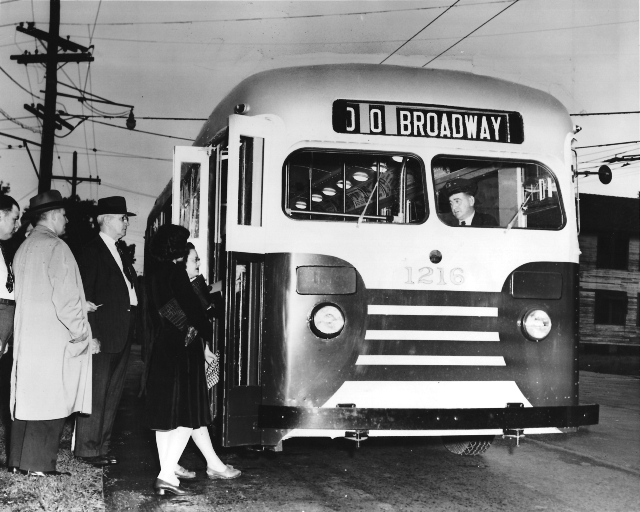 The experimental line was sufficiently successful that NOPSI decided to create a TC line on Broadway. 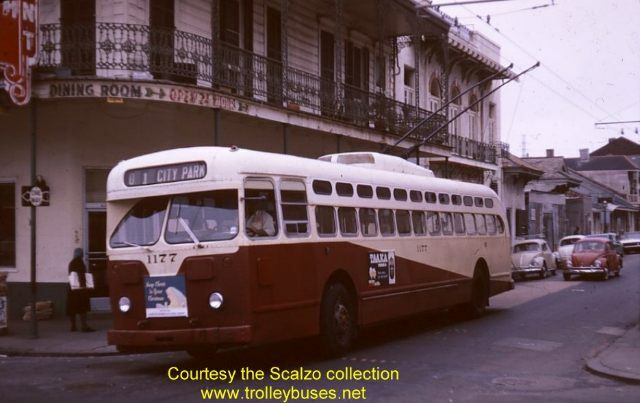 Service on that avenue had been provided in sections by the Magazine and Freret streetcar lines. 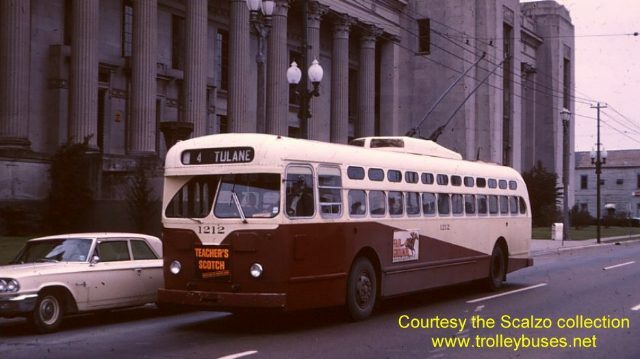 The replacement TC service simply ran one line over the complete length of the street. 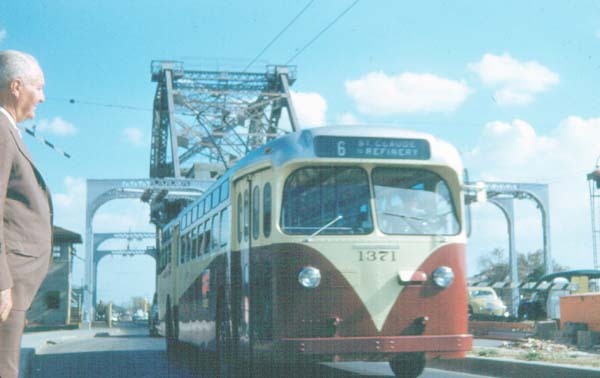 The Cincinnati Car Co. coaches for this service were housed at Arabella Station, along with streetcars for most of the uptown lines, and TC wires were strung along Magazine Street from Arabella to the Broadway terminal on Magazine at the uptown edge of Audubon Park. 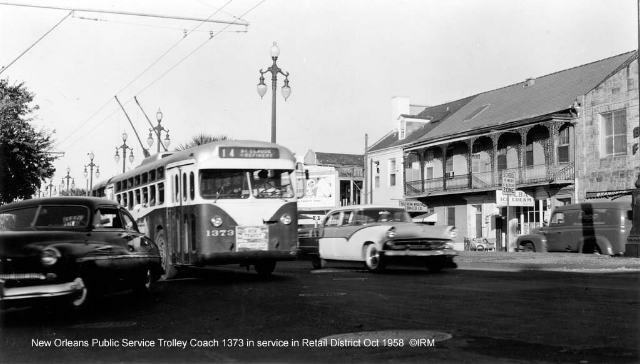 That was the extent of TC operations in New Orleans until the end of WW II, when NOPSI began a deliberate program of converting streetcar lines to TC or motor bus operation. 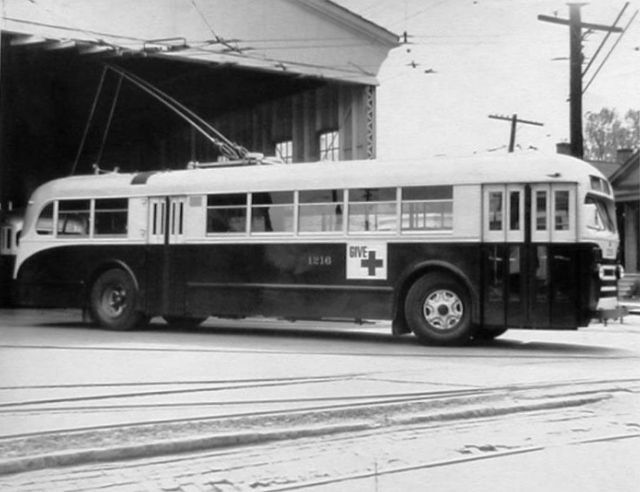 In 1945, NOPSI took delivery of nine new ACF-Brill trolley coaches, which were intended to replace the Cincinnati coaches on the Broadway line. 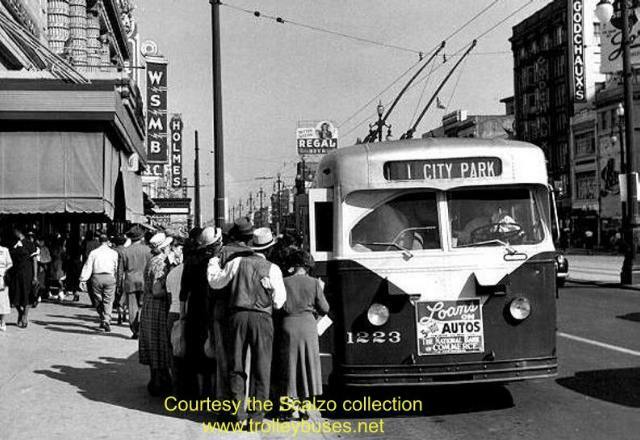 The last of the Cincinnatis were retired January 1, 1946, and motor coaches were used temporarily on Broadway as the street was repaved. The Brills took over the route on March 27, 1946. From 1947 to 1949, 110 new TCs were purchased from St. Louis Car Co., and 70 from Marmon-Herrington. 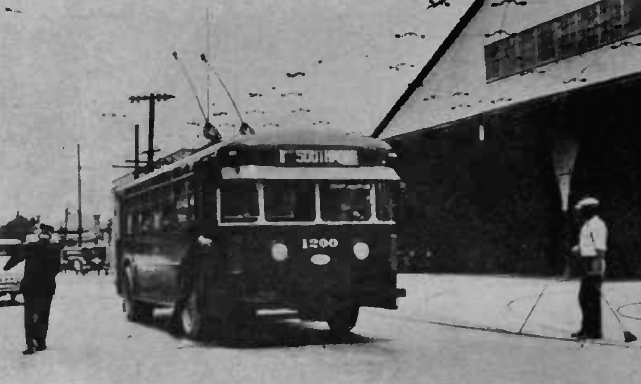 The St. Louis coaches took over from streetcars on several of the lines out of Arabella Station (Magazine, Jackson, and Freret). 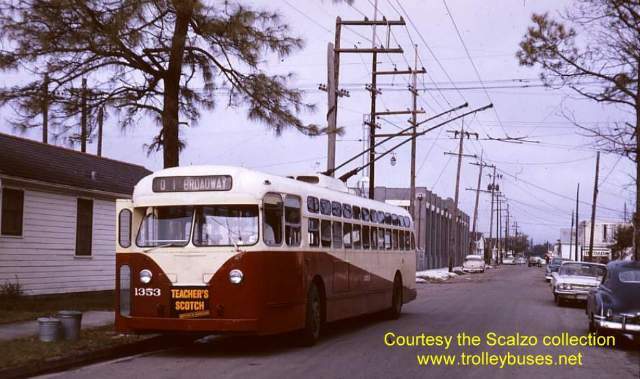 All rails were removed from Arabella, and both the carbarn and the yard on the river side of Constance Street were paved and organized for trolley coaches. 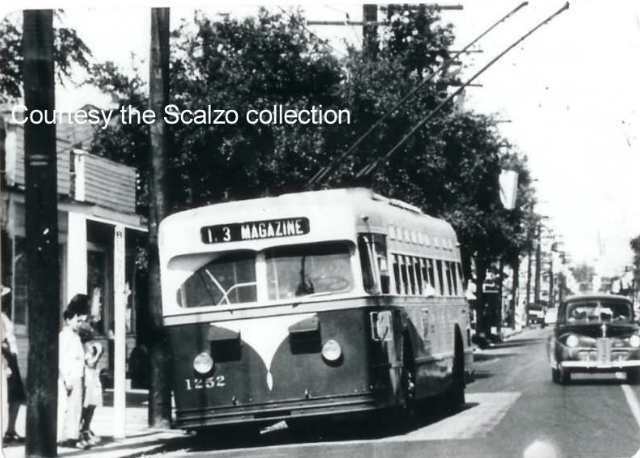 (S. Claiborne and Napoleon streetcars, though evicted from Arabella, survived into the 1950s, but became motor bus lines in 1953.) 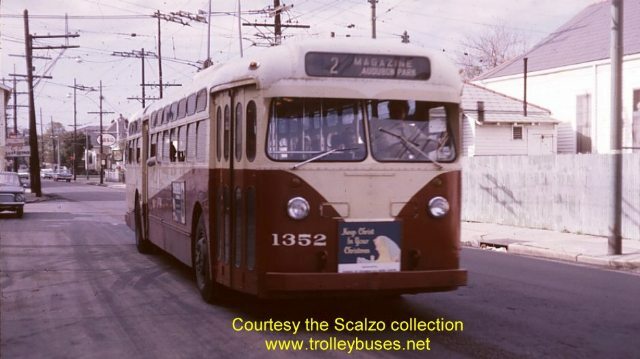 In 1949, the Marmon-Herrington TCs even replaced motor buses on the City Park line, which had lost its streetcars in 1941, as well as the streetcars of the St. Claude line. These two operations were based at Canal Station. For the purpose, the yard at Canal Station on the downtown side of Iberville St. was paved and wired for TC storage. 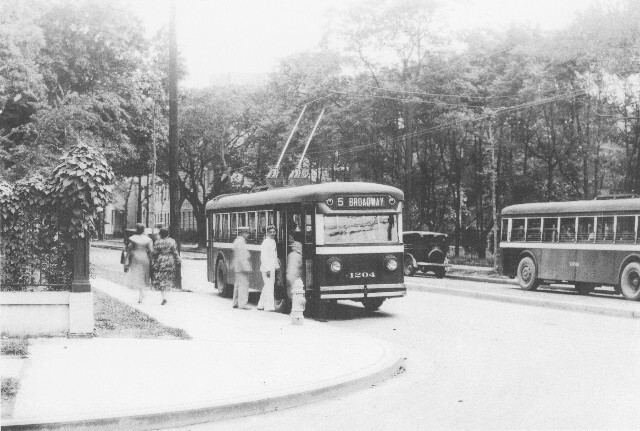 There was non-revenue TC wire on Broad Street to connect the City Park line to Canal Station. In 1951, the New Basin Canal was filled in, ultimately providing right of way for the Ponchartrain Expressway and I-10. An underpass was constructed on Carrollton Avenue in place of the old bridge over the canal. 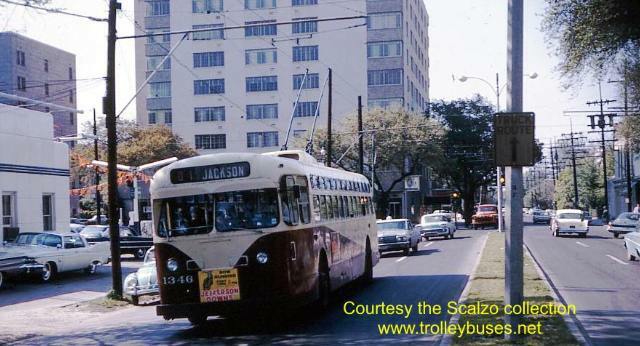 This resulted in separation of the St. Charles and Tulane streetcar lines, with Tulane being converted to TCs. 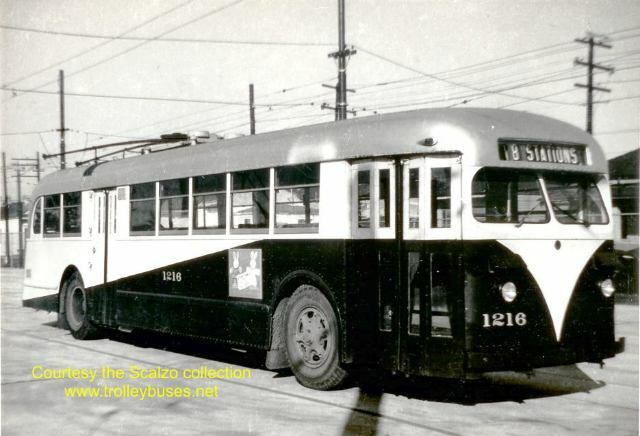 St. Louis Car Co. built 44 new coaches, which NOPSI chose to number below 1213 (the old 1200-1212 being long since retired), for use on the new Tulane TC line. Though ordered in 1951, only the first of these coaches was delivered that year, the rest arriving in 1952. 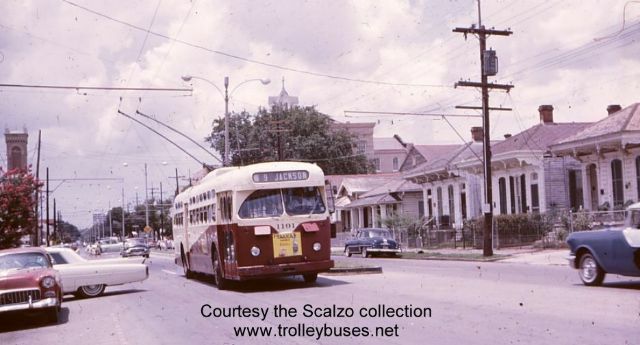 Overhead wires were installed from Carrollton Station along Carrollton Avenue to the terminal of the new TC line on S. Carrollton at S. Claiborne to house the line at Carrollton Station. 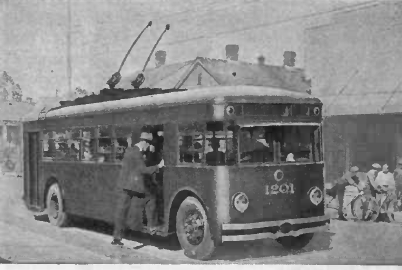 (Owl service on the Tulane line used the pull-out and pull-in wires as an extension of the route.) The most easterly three tracks at Carrollton were converted to TC lanes, with the track flanges filled in. 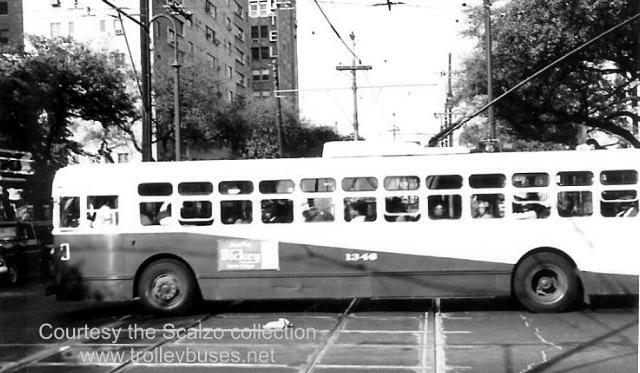 The TC overhead wires on Willow and Jeanette Streets were separate from the streetcar overhead wires. Curiously enough, the three TC stations (Arabella, Canal, and Carrollton) were each a separate system. 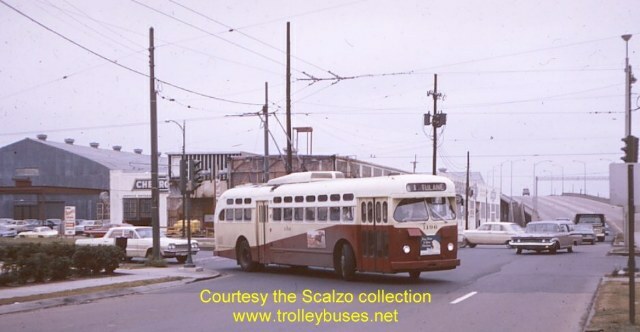 No trolley coach wires connected between them. 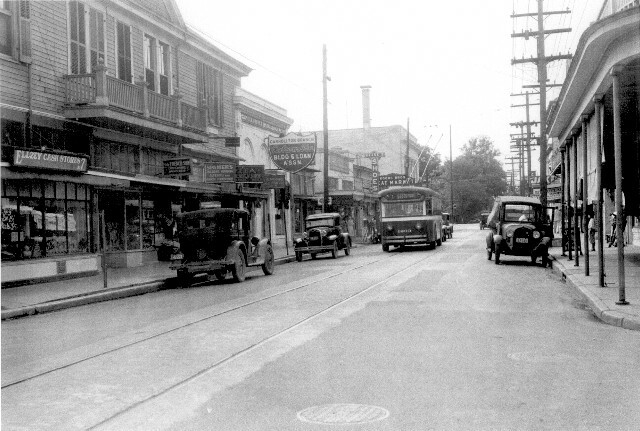 The Freret TC line and the St. Charles streetcar line shared overhead wire on Carondelet and St. Charles Streets between Howard Avenue and Canal Street. 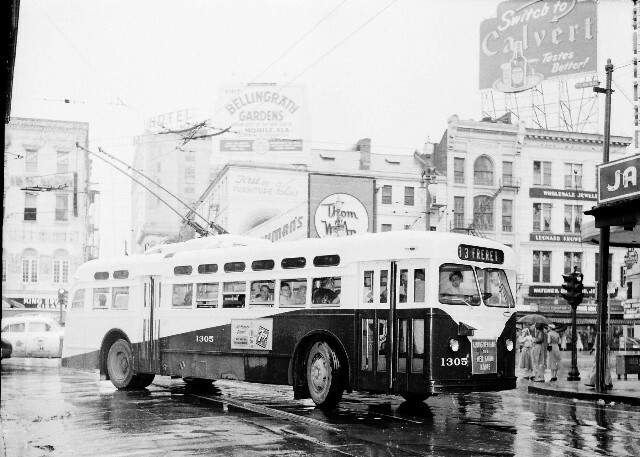 Over most of the system, the left-hand TC wire was the positive side of the circuit, but there were insulators at Howard that reversed the usual polarity, so that the streetcar used the right-hand TC wire. 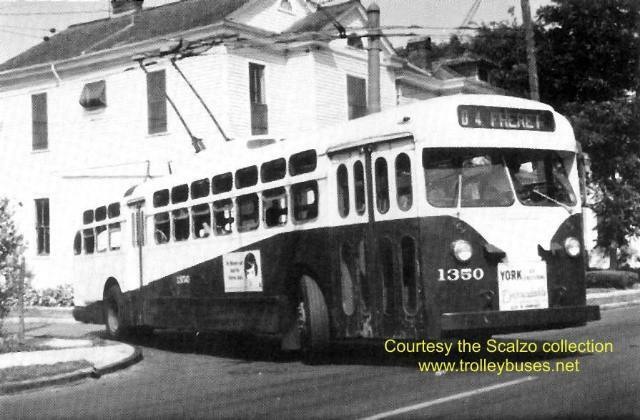 During the 1950s, the Brills and the 44-seat St. Louis coaches were usually assigned to Arabella Station, and thus to the Broadway, Magazine, Freret, and Jackson lines. 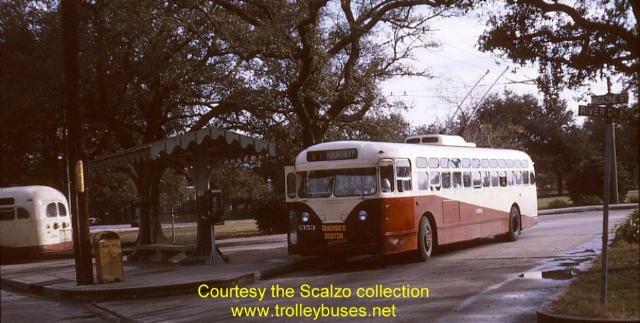 The Marmon-Herrington coaches of both sizes were usually at Canal Station, providing City Park and St. Claude service. 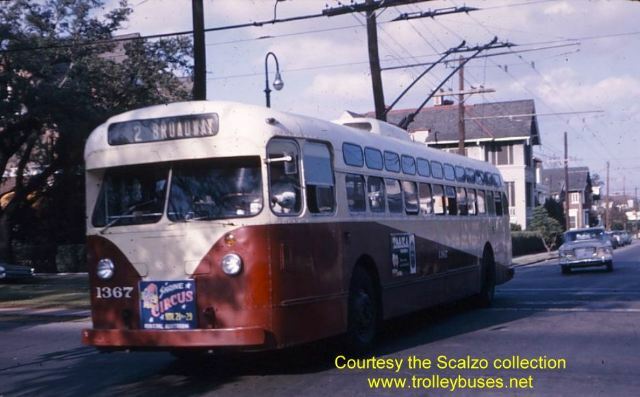 The 1951-52 48-seat St. Louis coaches were usually found on Tulane, housed at Carrollton Station. 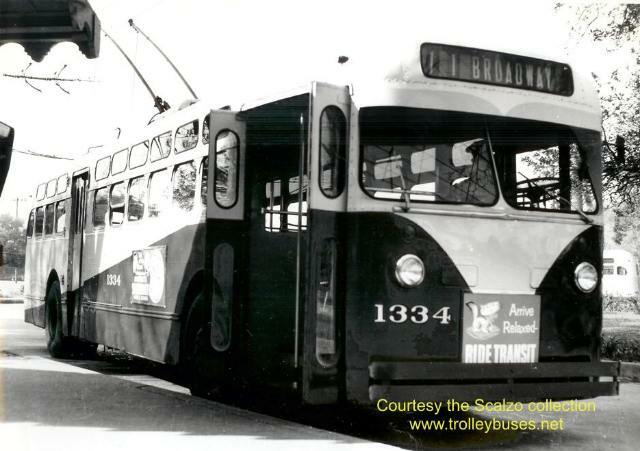 Trolley coach ridership was initially very high. 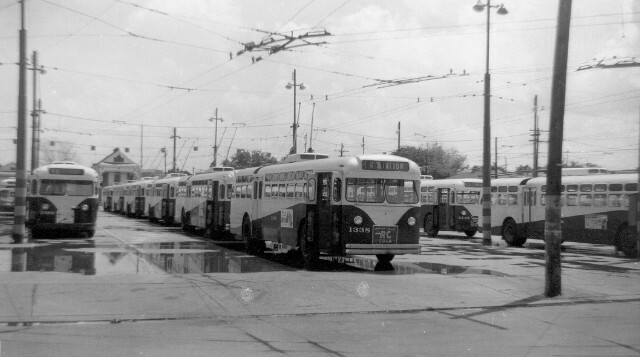 For example, the Magazine line early was assigned 60 coaches. But in the mid-1950s, it began to decline. The Brills were the first TCs retired in this era, in 1956. 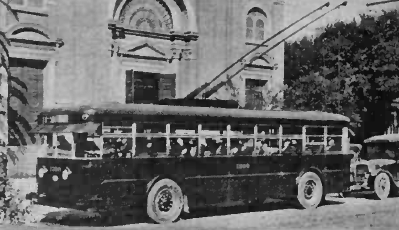 Some of the 1947 and 1948 St. Louis coaches were next, being retired in the later 1950s. 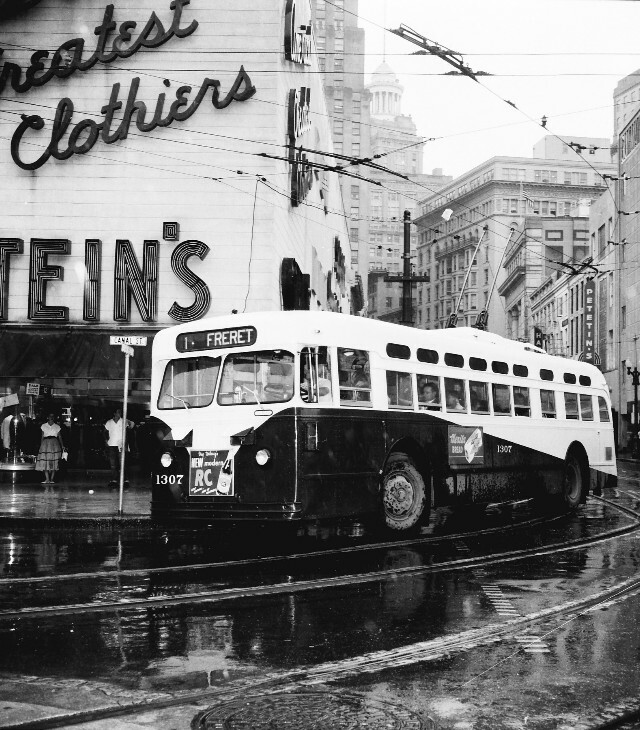 In October 1960, NOPSI took delivery of its first air conditioned GMC “New Look” diesel buses. 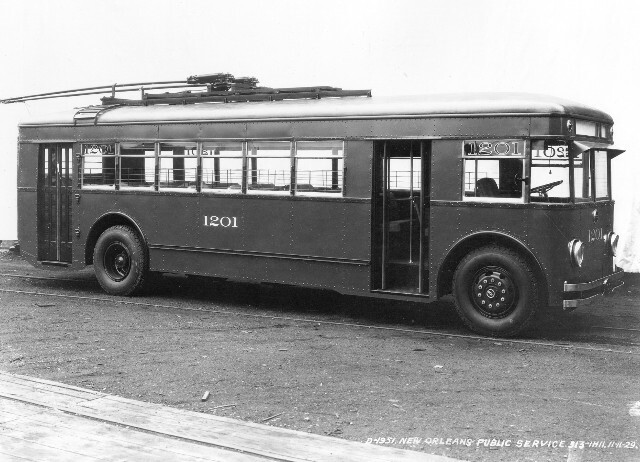 Air conditioning proved to be immediately popular in the hot, humid climate of New Orleans, and made replacement of the non-air conditioned trolley coaches very attractive to NOPSI. 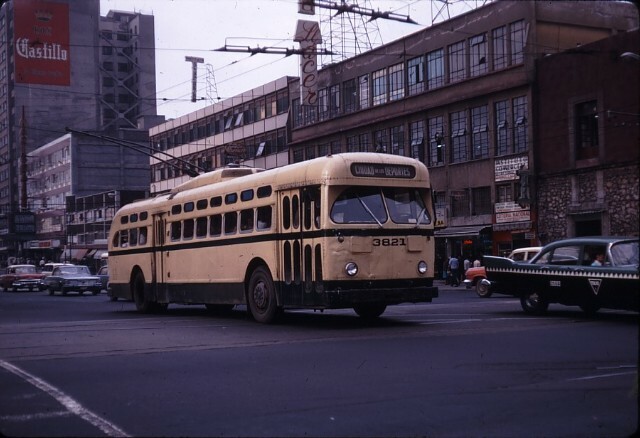 However, American-made trolley coaches were not readily available at this time, though later, some cities were able to obtain them in the bus building market. 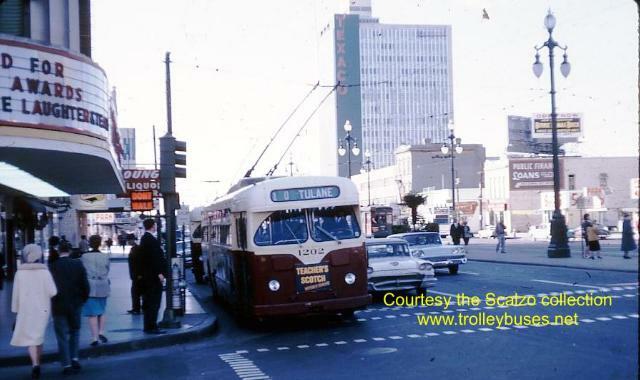 Thus, trolley coach operations were wound down and terminated in the 1960s. 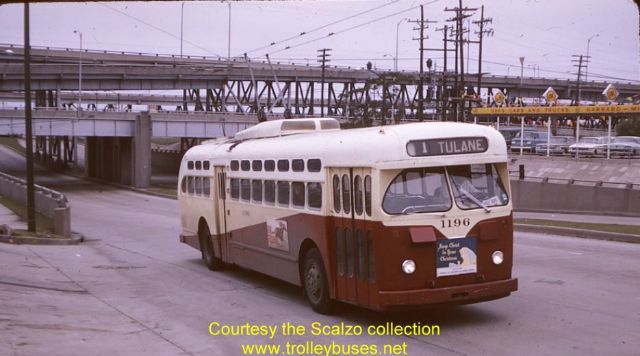 First to be converted was the St. Claude TC line, with last day July 22, 1962. 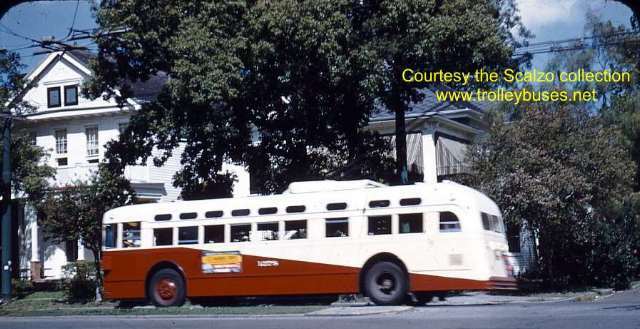 Its Marmon-Herrington coaches were then assigned to Arabella Station to replace the last of the 1947-48 St. Louis coaches, which were retired. 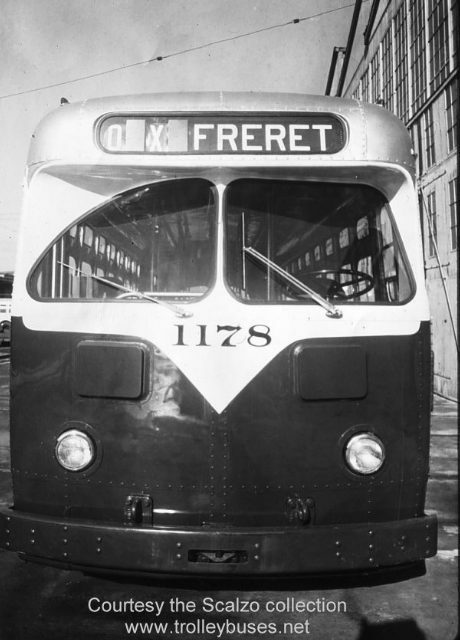 The last day for the Freret TC line was June 9, 1963. 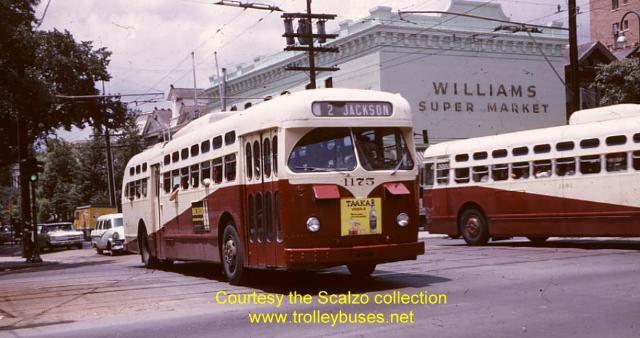 The next-to-last TC survivor was the Jackson line, ending on March 19, 1967. The last TC ran on March 26, 1967 on the Magazine line. 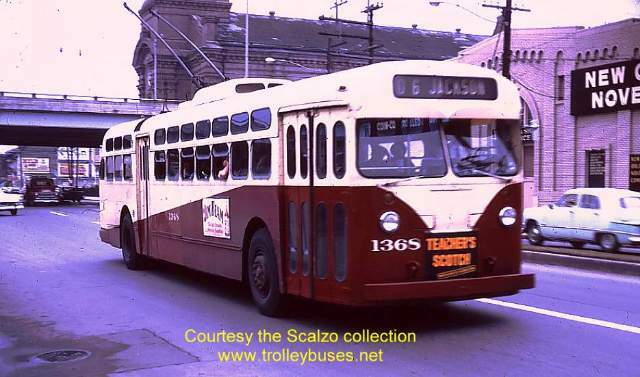 All of the TC routes were converted to motor buses. 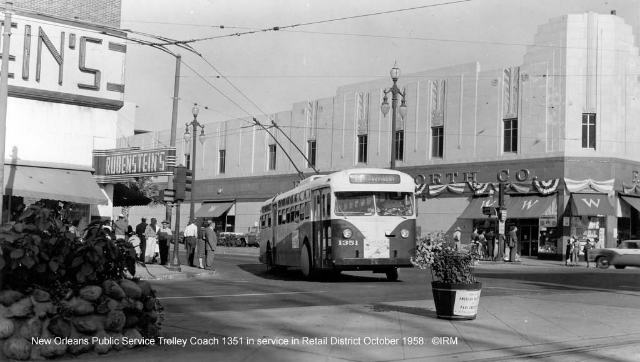 As lines and stations were converted, the 44-seat coaches were retired, and the 48-seat coaches, both Marmon and St. Louis, were moved around the system. 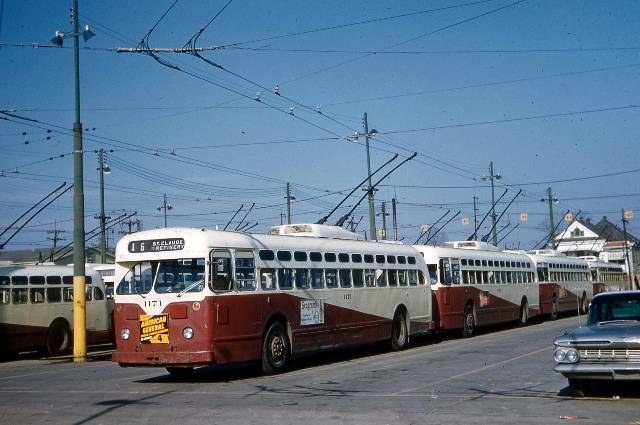 A photo is known as early as 1959 showing 48-seat St. Louis coaches at Canal Station, signed for the St. Claude line. By 1964, we find the “big St. Looies” spread around among all three stations, and the big Marmons serving the surviving lines at both Canal Station (City Park) and Arabella (Broadway, Magazine, and Jackson). 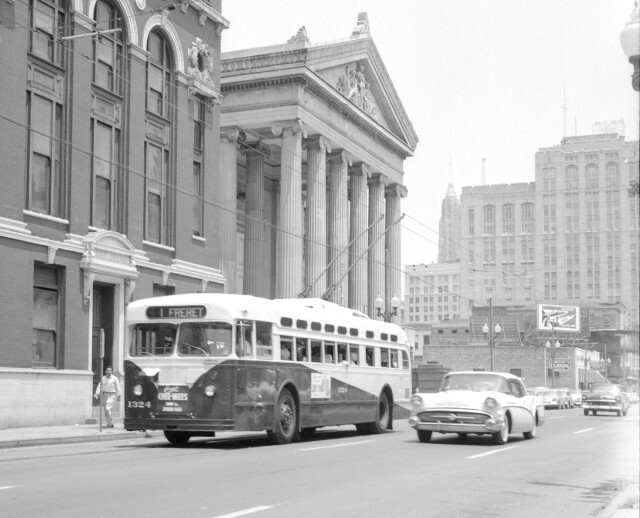 City Park, Broadway, and Tulane were converted at the end of 1964, and the last Marmons were retired, leaving only the 48-seat St. Louis coaches for the last surviving Jackson and Magazine lines. 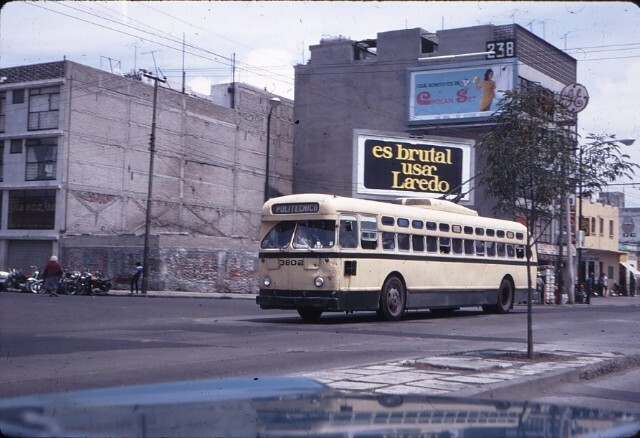 After their conversion in March 1967, Mexico City acquired 33 of the St. Louis coaches for service there: coaches 1175-1179, 1181-1187, 1189-1196, 1198-1206, 1208, 1209, 1211, and 1212 became Mexico City 3800-3832, renumbered in order. Unverifiable rumors have it that some TCs went to Thailand or to Taiwan, but it seems most likely that all the rest of the TCs were scrapped. 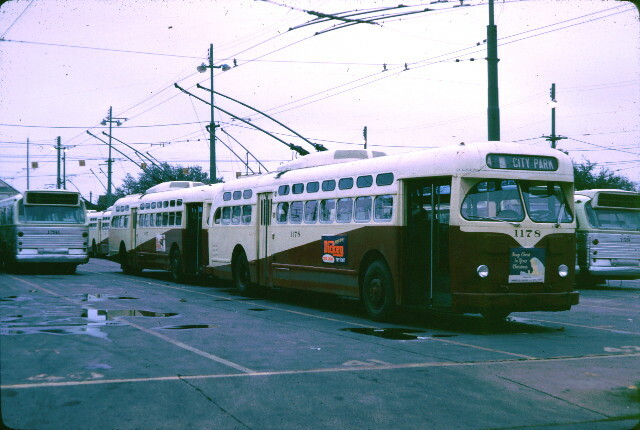 In addition to New Orleans, St. Louis built TCs of the same model for Detroit, Johnstown, and San Francisco. 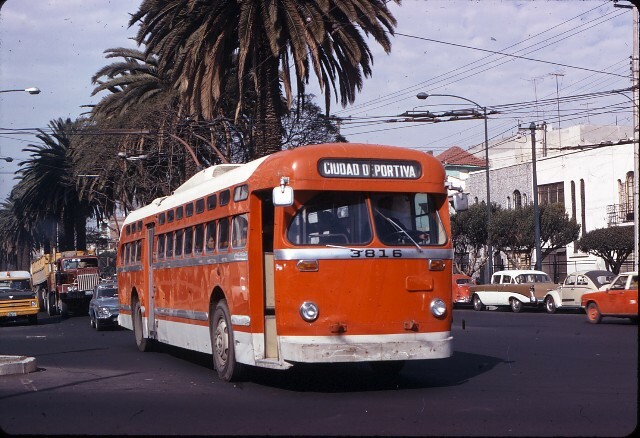 (The San Francisco coaches were the last TCs built by St. Louis Car Co.) Eventually, six of the Johnstown coaches also went to Mexico City, and served as their numbers 3850-3855. 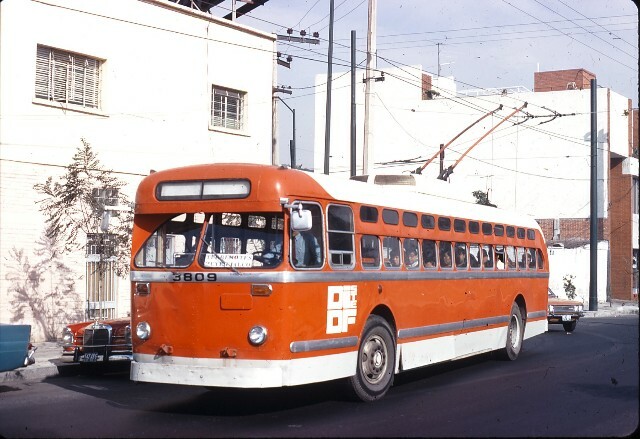 Some of the San Francisco coaches were also sent to Mexico City, but they were used only for parts to keep the former New Orleans and Johnstown coaches in operation. 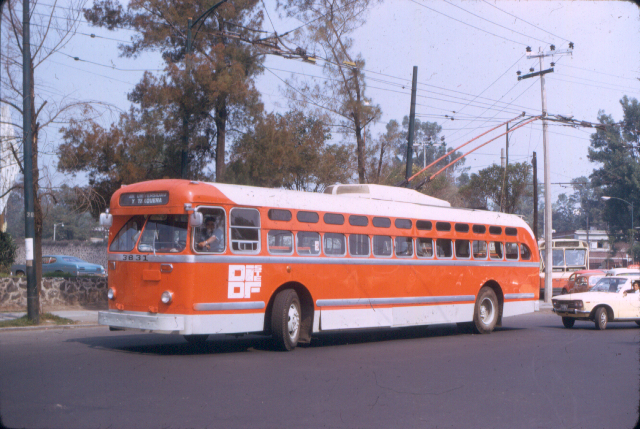 All of the St. Louis-built coaches were retired in the late 1980s when they were replaced by new Mexican-built TCs. This record was compiled from known photographs, some dated, some undated. Route name abbreviations are given above, plus ARA standing for Arabella Station. Text and picture captions copyright © 2010, 2018 Louis C. Hennick and H. George Friedman, Jr. Pictures copyright © 2010, 2018 by the persons credited. All rights reserved. 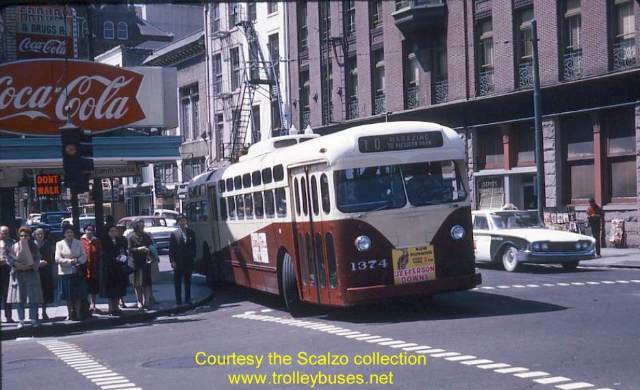 Thanks to Stephen Scalzo for much of the information and many of the photographs on this page, as well as the yellow-highlighted map of the TC lines. His help is most gratefully acknowledged. 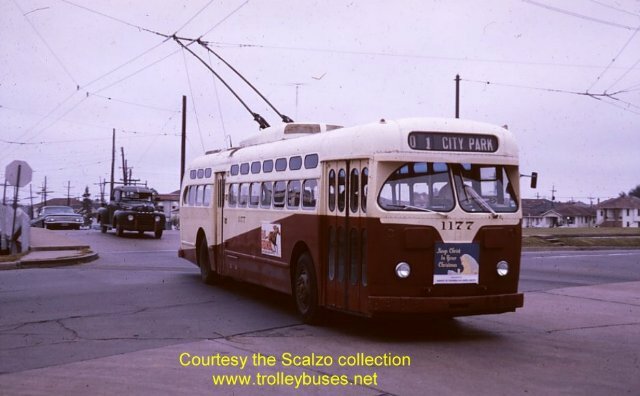 Many of the photographs were downloaded from the Scalzo Collection at Tom's North American Trolley Bus Pictures, www.trolleybuses.net, which web site is greatly appreciated and gratefully acknowledged.